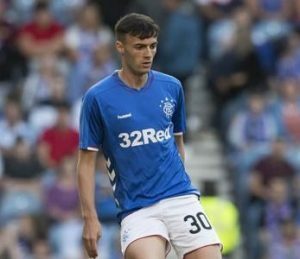 The club is delighted to agree a deal with Rangers FC to bring 19 year old defender Kyle Bradley to Galabank on loan. Kyle is a Rangers academy player but is not short of first team experience with the Ibrox side. He made his debut for the Glasgow club against St Johnstone in 2017 before spending a loan spell at Clyde FC. Lately Bradley has travelled with Steven Gerrard’s squad to Skopje for their Europa League clash and featured as a substitute against Bury FC before making his first start against Wigan in pre season..
Kyle goes straight in the squad to face Edinburgh City tomorrow.